Sourabh Kankhar, Consulting Analyst, Frost & Sullivan, Singapore. Challenges such as rising healthcare costs, demand for better quality of healthcare, increasing labour shortage and fragmented healthcare system are making it imperative for healthcare organisation to integrate IT solutions in their administrative and clinical workflow. We have seen the influence of Information Technology (IT) in many different sectors such as banking, finance and education but healthcare is one sector where the impact of IT has not been so conspicuous. Healthcare organisations have been slow adopters of IT solutions in the past. However, they presently aggressive in adopting IT solutions due to various challenges to healthcare delivery. In Asia Pacific (APAC), Singapore, Japan, South Korea and Australia have been at the forefront of technology adoption in the healthcare sector whereas China, India, Malaysia and Thailand are the emerging markets. In Australia, the state and federal government are supporting state-wide and country-wide HIT initiatives. A few examples of such initiatives in the past are HealthSmart, a four-year technology programme in the state of Victoria and HealthConnect, the nationwide electronic health records programme by the federal government. At present, the State of South Australia is developing Australia’s first fully integrated state-wide electronic health record system through its careconnect.sa programme. In Western Australia, eHealthWA is a major reform programme designed to provide a modern and integrated platform of Information and Communications Technology (ICT) for public health care services in the state. Globally, countries are trying to achieve an integrated healthcare delivery structure in their quest to improve the quality of patient care. Singapore has been successful in its progress towards a well-integrated quality healthcare service. This success can be attributed to the country’s focus on achieving immediate HIT goals rather than holistic ones along with the recognition of the importance of integrating IT into health system by the hospital administrators and clinicians. In 2003, the country’s health minister identified the use of information technology as one of his priorities with the aim of ‘One Singaporean, One EMR.’ With the announcement of the Intelligent Nation 2015 (iN2015) plan, the government has accentuated that HIT will always be a priority for them. Healthcare facilities are facing daunting challenges such as rising healthcare costs, demand for better quality of healthcare, increasing labour shortage and fragmented healthcare system. There will be a huge rise in demand for healthcare services in the future due to ageing of population, lifestyle changes and increasing incidence of chronic diseases. For example, Japan has the fastest ageing population in the world. Today, one in five Japanese people are over the age of 60. The population aged 60 years and above is estimated to be around 28 per cent in 2025. From around 13 per cent of the total population in 2006, the population aged 65 years and over in Australia is projected to be around 28 per cent in 2056. Today, one out of every 12 Singaporeans is aged 65 or above. By 2030, this ratio will become one out of five. These challenges are making it imperative for healthcare providers to integrate IT solutions in their administrative and clinical workflow to bridge the gap between the demand and supply for health services. In many APAC countries, there has been an under-investment in healthcare IT in the past. Even now, healthcare agencies in APAC are spending considerably lower on IT initiatives as compared to their counterparts in Europe and North America. In countries such as India and China, the government funding for healthcare IT initiatives is limited and there has not been a strong push from the government regarding HIT initiatives. The present economic slowdown is bound to have an impact on the IT budgets of healthcare agencies in APAC. The Chief Information Officers (CIO) in majority of the hospitals will react to the economic slowdown by cutting down on their overall IT budgets. The lack of awareness of the right systems and limited budgets has led to the installation of legacy systems in many healthcare facilities in APAC, especially in countries such as India, China and Australia. These systems lack industry standards as well as pose a big challenge in the integration with new modules. In Australia, the state health departments are currently spending millions of dollars in replacing these legacy systems with solutions that are based on industry standards. There has been a successful implementation and wide use of IT solutions in administrative workflow of healthcare organisations in Japan, Singapore, Australia and South. The focus in these countries will now be on clinical IT solutions such as Electronic Medical Records (EMR), Electronic Health Records (EHR) and decision supports systems. Countries such as India and China will concentrate on the implementation of administrative solutions. Clinical IT solutions will play a major role in developing an efficient and patient-centric healthcare delivery structure in the future. 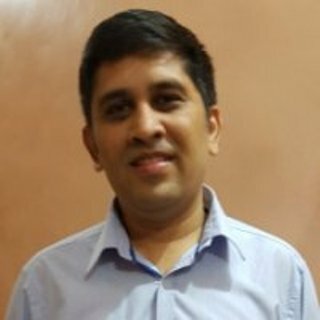 Sourabh Kankhar is a Consulting Analyst with the Frost & Sullivan Asia Pacific Healthcare Practice. He focusses on monitoring and analysing emerging trends, technologies and market dynamics in the Medical Technologies Group in Australia.